Roundup Ready® cotton expresses the selectable marker protein neomycin phosphotransferase (NPTII), while Roundup Ready® Flex cotton does not. 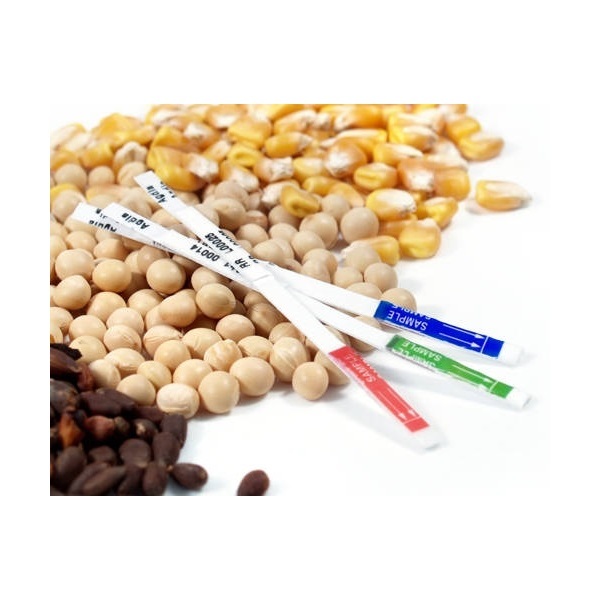 This ImmunoStrip® was developed and validated to determine the presence or absence of NPTII protein in single seeds of Roundup Ready® cotton and to confirm the absence of the NPTII protein in single seeds of Roundup Ready® Flex cotton. 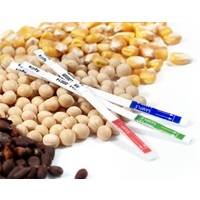 This ImmunoStrip® is appropriate only when testing varieties of (Roundup Ready® cotton, which expresses the NPTII protein) and varieties of (Roundup Ready® Flex cotton, which does not express the NPTII protein). Testing any stacked-trait events, such as Bollgard II with Roundup Ready® cotton is not recommended. Only Roundup Ready® and Roundup Ready® Flex events listed are appropriate for testing. Composite testing of seeds and leaves is also not recommended. The NPTII ImmunoStrip® test will detect only the NPTII protein and has shown no cross-reaction with PAT/bar, PAT/pat, Bt-Cry1Ac, Bt-Cry2Ab or Bt-Cry1F.